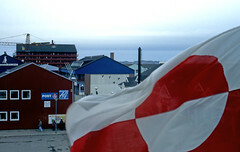 The flag of Greenland was designed by Greenland native, Thue Christiansen. It features two equal horizontal bands of white (top) and red with a large disk slightly to the hoist side of centre. Its local name in the Greenlandic language is Erfalasorput, which means "our flag". 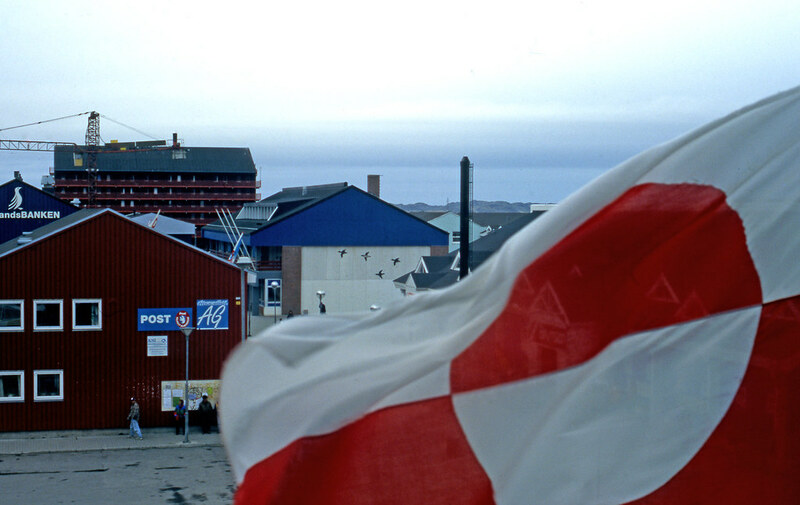 Today, Greenlanders display both the Erfalasorput and the Dannebrog (the Danish flag). It is also the only national flag of a Nordic country or territory without a Nordic Cross.